French data center operators are set to see their operational costs slashed, as the government introduces a tax cut on electricity consumption. In a speech at Dassault Systèmes' headquarters in Vélizy-Villacoublay yesterday, Prime Minister Édouard Philippe told the software company's employees, as well his fellow ministers, that the taxe intérieure sur la consommation finale d’électricité - or TICFE - would be reduced from €22,5/MWh to €12/MWh, in a bid to attract more data center investment to the country. What’s more, he said, the measure “won’t increase the industry’s energy consumption,” as in exchange for the rebate, France’s data center operators have committed to improving their energy efficiency by 15 percent within the next five years. Equinix, Europe’s leading colocation provider, welcomed the announcement, telling Agence France Presse that the levy would put France in a better position to attract data center companies, as currently they choose to build in Ireland and the Nordics for the advantages that they offer. An OVH spokesperson agreed, stating that data centers are very large investments, and that "anything that makes France more attractive is excellent news." The government is also lending its support to HPC companies, promising to invest €44m in Atos and CEA’s R&D program over the next five years. Tax depreciation is commonly used by governments to attract data center projects, especially in the US, where companies have been known to play states against each other to secure the best possible deal. In this case, the measure is part of a wider push by the French government to develop the country's digital economy, as France’s trade balance on goods has degraded in recent years, and, according to the prime minister, it is the only country in the EU where the number of robots per working individual actually decreased between 2012 and 2015. 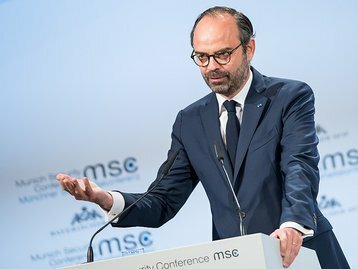 Other measures will include a 40 percent rebate on all digital equipment bought between January next year and December 2020, which Philippe said could represent an 11 percent saving on investments in computer-assisted manufacturing systems like 3D printers, as well as software and sensors. “I want to give French employers a new incentive to produce in France,” he said. The aim here isn’t to fund projects without questioning their usefulness, Philippe said, but to examine their quality and viability before making a decision. “Public money is rare, it must be spent parsimoniously,” he added, according to French mainstream news site Les Échos. All of the above-mentioned measures will total a €500 million investment for the French state.